Your car is a great place to enjoy music. No interruptions, distractions, or censorship from others. Driving and music were made for each other! More and more we hear from customers that they are not satisfied with the sound quality of the audio system in their vehicle. There are several reasons for this. 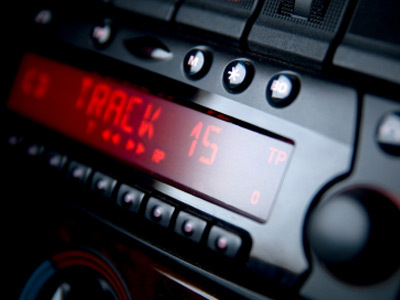 First, auto makers are trying to incorporate technology features into the radio. USB, Bluetooth, iPod connectivity, and auxiliary in. Perhaps a touch screen. There are only so many dollars available in their budget that go to audio, so they have to cut back elsewhere. The quality of the rest of the components such as speakers are areas they can accomplish this. They also are working to reduce weight. Plastic frames and small magnets on speakers again work to their goal. Since options are now built into packages, they want to create incentive for a buyer to choose the package with an upgraded sound system, which is many cases, is not much better. In many cars, the radio is becoming more integrated into the dash panel making replacement more difficult if not impossible. Besides, if the features you like are already there, why replace it? We can work with the factory source unit, add upgraded speakers, amplifiers, and even subwoofers while maintaining the factory look and function. All you notice is MUCH better sound. If you’re looking for a system with more visual flair, The Radio Doctor can fix you up with an eye popping custom install. We work with a wide array of vinyls, cloth, carpet, and lighting to set you apart from the crowd.